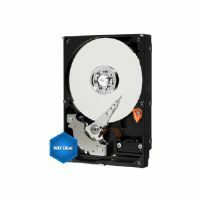 The WD Red 3TB Internal Hard Drive is designed to operate for home and small office NAS. 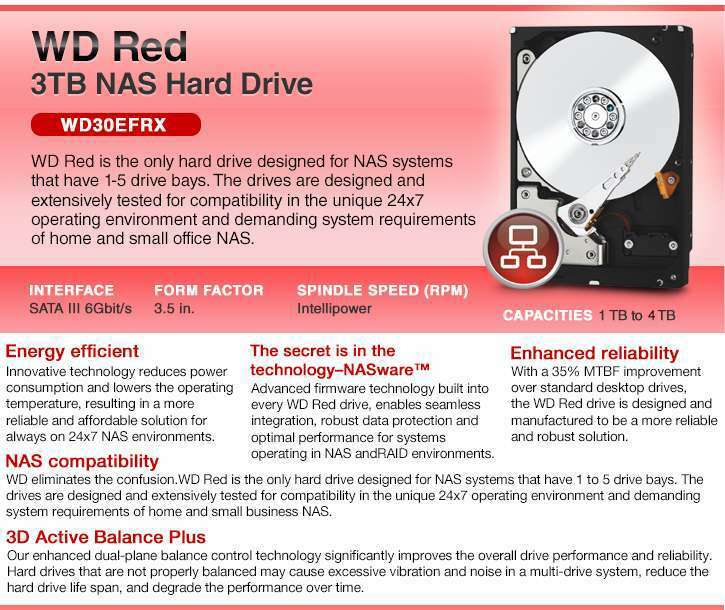 As the only hard drive with 1-5 drive bays which is designed for NAS systems, the WD Red 3TB Internal Hard Drive optimizes data management for enterprise-class environment. 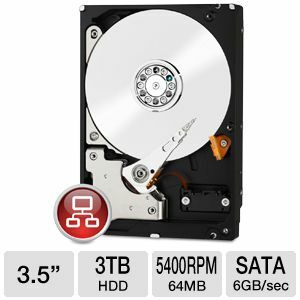 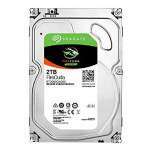 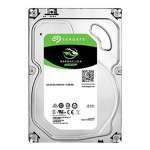 This 3.5" internal hard drive has undergone extensive tests to guarantee superior performance for demanding system requirements. 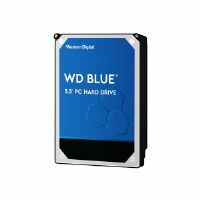 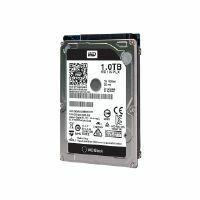 Add a few of these drives to your office's NAS and you'll gain a ton of storage for your business data and projects. 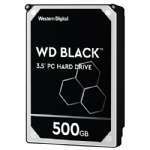 The WD Red 3TB Internal Hard Drive is built to offer the highest form of reliability.